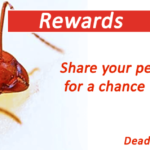 Tick vs Bed Bug… aren’t they the same? If you question a person off the street about ticks and bed bugs; after a puzzled look, they may tell you “aren’t they the same?”. But, that’s where the misconception lies. As mentioned above, ticks are arachnids (the class of spiders!) 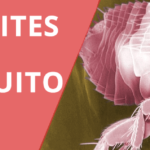 that are wingless, tiny ectoparasites; which mean they attach to a host, climb to the end of leaves, and attach themselves on any passing host. Ticks typically have eight legs and can be easily found hiding in leaves, shrubs, and plants due to their parasitic nature. 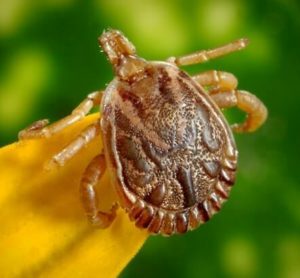 Like any other arachnid, there are many different types of ticks such as the cattle tick or deer tick; they are classified into three families: hard ticks, soft ticks, and Nuttalliellidae. 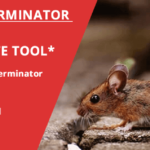 All ticks similarly feed on their victims; by inserting their pincers into the host and secreting an anticoagulant to prevent blood clotting; giving rise to bumps. Ticks move so easily and precisely due to their Haller’s organ; a sensory organ that allows ticks to detect odor and chemical changes. 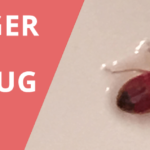 Bed bugs belong to the class of insects and can be easily distinguished due to their rustic, reddish brown color, oval and flat structure, and six legs. 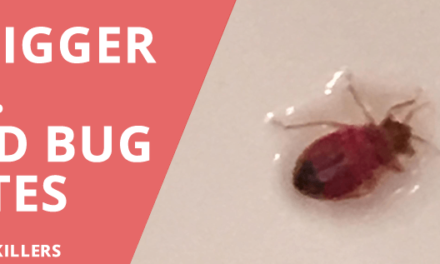 Newly hatched bed bugs are usually colorless, with their exoskeleton translucent, and as they mature; their color darkens. Bed bugs are also known to reproduce rapidly. 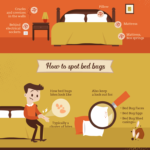 You can probably guess by their name, that the most common place to find bed bugs is…the bed. But more specifically, they hide in the crevices and cracks of couches, box springs, bed frames, and headboards. 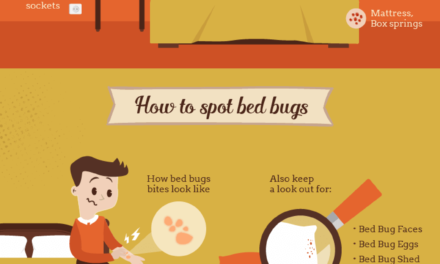 Bed bugs can survive in any type of furnitures such as a bed table, dresser, or any place from where they can get to their victim easily. 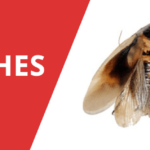 If you notice that the bites on you are mostly arranged in a line pattern or a cluster, chances are they are from bed bugs. If you find them on your face, neck, arms, and hands more than other places, that’s more evidence for bed bugs. 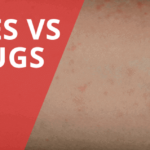 Most bed bug bites itch and can lead to allergic reactions, but this depends on the individual. When we talk about the habitat of both these microorganisms, there is a huge difference in their home of choice. Ticks are typically found in outdoor environments such as high grasslands, leaves, plants, shrubs, and weeds. If you are trying to locate them on a victim or your own body, focus on areas such as arms, stomach, hair and the area behind the ears. On the other hand, bed bugs are predominantly found in pieces of furniture such as bed cracks, frames, and side tables. They can also be found in furniture close to the bed or cluttered areas. Basically, any place where they can conveniently hide and travel to their host from. 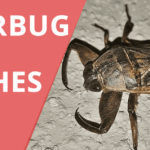 But they all look like spider bites?…well..
Another major difference between ticks and bed bugs is their bite marks. If you notice a single bite which is itchy; it is probably from a tick as they typically stick to one spot until they are fully gorged. 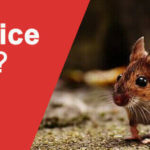 Tick bites are red but small and are close to one another. 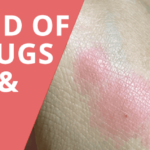 Bed bug bites typically involve multiple bites, whose bites are usually in a pattern all over your body, and are more swollen and hard looking. There are few similarities between the two, mostly restricted to the choice of hosts and appearances. Both are flat, wingless parasites that are reddish-brownish in color and are considered microorganisms due to their microscopic size, and are oval and flattened creatures. 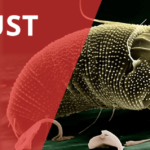 Ticks and bed bugs both feed on animal and human blood, bed bugs prefer human blood over animals and the opposite is true for ticks, but they feed on the same species. 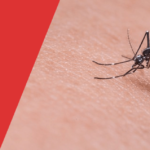 When we talk about tick bites, they are characterized by a small cluster of dots that are incredibly itchy and are predominantly found on the legs and ankles. As mentioned earlier, ticks are known pathogens, which mean they can cause an infection. Tick bite marks are small and are light red in color. 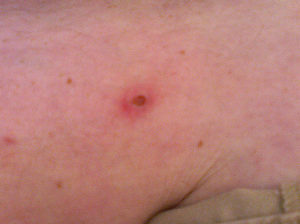 Bed bugs bites are deep red, hard, and appear to be very swollen. 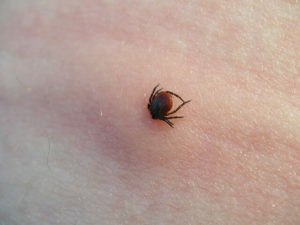 They are itchy, but unlike ticks; the bites can be found all over the body in a pattern. 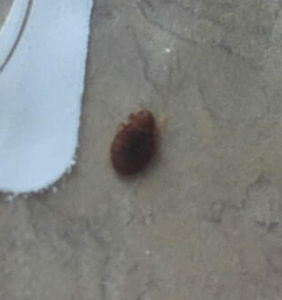 A Bed Bug bite doesn’t result in an infection. 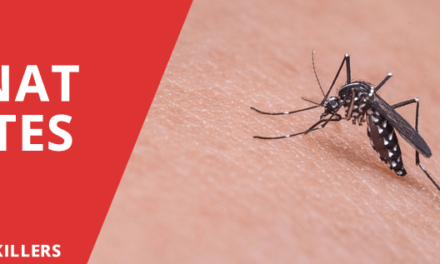 You may also feel stiffness in your neck, persistent headaches, nausea, weakness, fever, chills, and swollen lymph nodes alongside weakness when the tick-borne disease rises in severity. 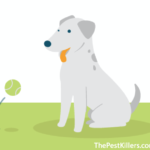 Tick bites often develop into rashes, which is why people mistake them for flea bites or bite from some other insect. 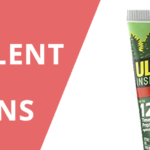 They may develop into blisters early, but they fade away and are softer. 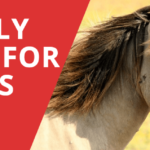 If you suspect a tick infestation coming from your pet or a nearby garden, they are most likely to be soft ticks and should be treated accordingly. 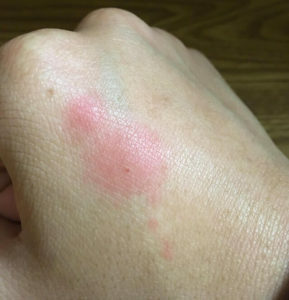 When bed bugs bite, the swollen bites turn into a dark red spot which usually stops itching after a while. 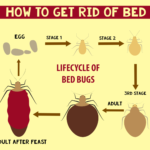 It is also interesting to note that bed bugs can live more than a year without feeding; this allows them to be highly selective about their victims. 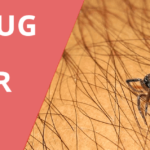 Try wearing long sleeves and pants while you go outdoors, especially in the woods, gardens, and shrub-concentrated areas as many species of ticks live in grassy areas. Apply a tick repellant especially in your socks and pants and if you are wearing shorts or a skirt, apply the repellent to the exposed parts of your skin. After coming back home from an outdoor event, take a shower or a bath as soon as you can. 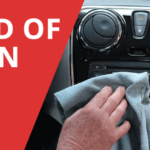 It is strongly encouraged that you organize your clothes in vacuum-sealed bags when you travel. Most bed bugs live in hotel mattresses, cupboards, and bed frames. Bed bugs can be easily found by their droppings of black dot-like structures; locate them and vacuum nearby floor and furniture. Eliminate the clutter; especially the boxes you bunched up near the walls. 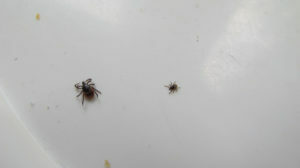 Try to locate tick-centric locations in your house, and vacuum them up. Ticks, which are not yet attached to your skin, can be vacuumed up. 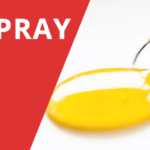 It is strongly advised that you do not smother your skin with alcohol or oil while the tick feeds. These measures can make the tick panic; resulting in it burrowing further into your skin. 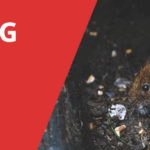 An added measure is to make the area surrounding your home inhabitable for ticks by weeding out and cutting the overgrown shrubs. 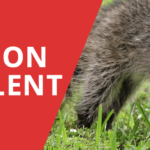 Keep a check on your pets as they roam around in grassy areas. First things first; keep the outbreak from spreading by removing unaffected items from the room and vacuum it. 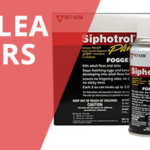 Use foggers which are bug bombs, but use them with extreme care as negligence can result in fire or explosion. 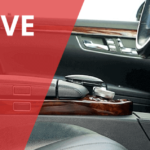 The only drawback is that they cannot reach cracks and crevices. Use bed bug monitors that can be placed under the feet of the bed frame to prevent bed bugs from reaching your bed effectively. 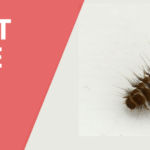 Identify early signs of bed bugs mentioned above and get help immediately. Firstly, call or visit your doctor immediately if you observe the symptoms discussed earlier in this article. To elucidate further, the most defining symptom is a rash and then a rising fever. Many other symptoms to look out for are vomiting, chest pain, abdominal discomfort, sore throat, severe rashes, and cough. These are all signs of a bacterial disease transmitted by ticks. 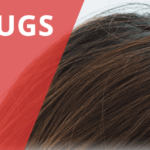 Most people infected with Lyme disease don’t develop the bull’s eye rash or a very distinctive spotted rash; they may go through the symptoms mentioned above. If detected earlier, these severe diseases can be subsided with an antibiotic course. 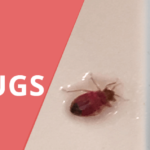 It is unlikely that you will develop an infection from bed bug bites as they aren’t pathogens. 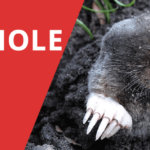 But you may develop a skin infection from scratching, for which you should consult your doctor and get a prescription for a well-suited antibiotic. 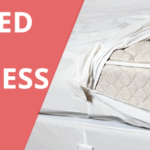 Bed bugs infestations have become increasingly common due to increased travelling and hotel reservations. 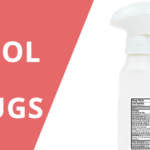 Compared to bed bugs, tick infestations are relatively less common but are may carry diseases. 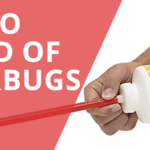 To summarize, there is actually a number of differences between bed bugs and ticks, but the one huge thing they share is that if ignored for a long time, they can really take a toll on your peace of mind. By now, you should be able to observe rashes and bumps on your skin, and quickly tell if it is a bed bug or a tick.